A full house to hear student presentations. On of the highlights of our S3 programming during the academic year is hearing from students who have held research or internship positions in the summer. These events give our Scots Science Scholars and other students a window into the kinds of opportunities there are for STEM students as well as the kind of work being done by STEM professionals. 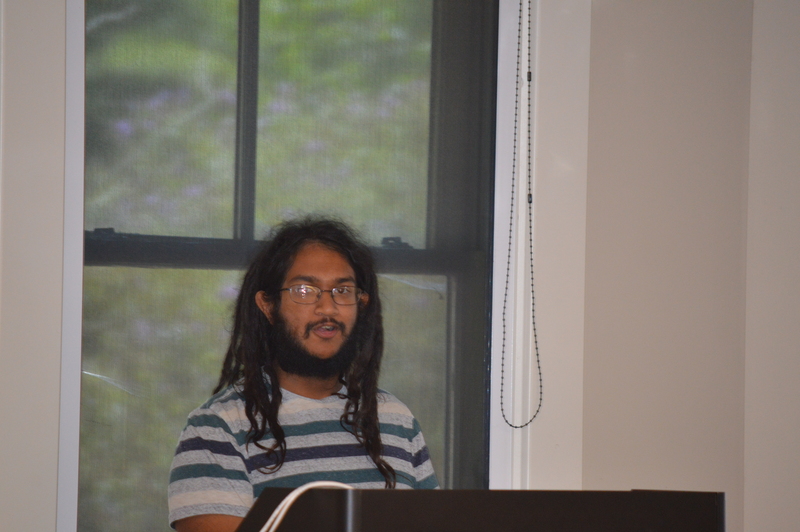 Yesterday began the 2015-16 year with presentations by three computer science majors, Tanner Curren, Matt Jenkins and Nabil Ahlhauser and senior biochemistry major Winode Handagama. Tanner and Winode worked in traditional STEM research groups will Matt and Nabil worked in an industry setting. 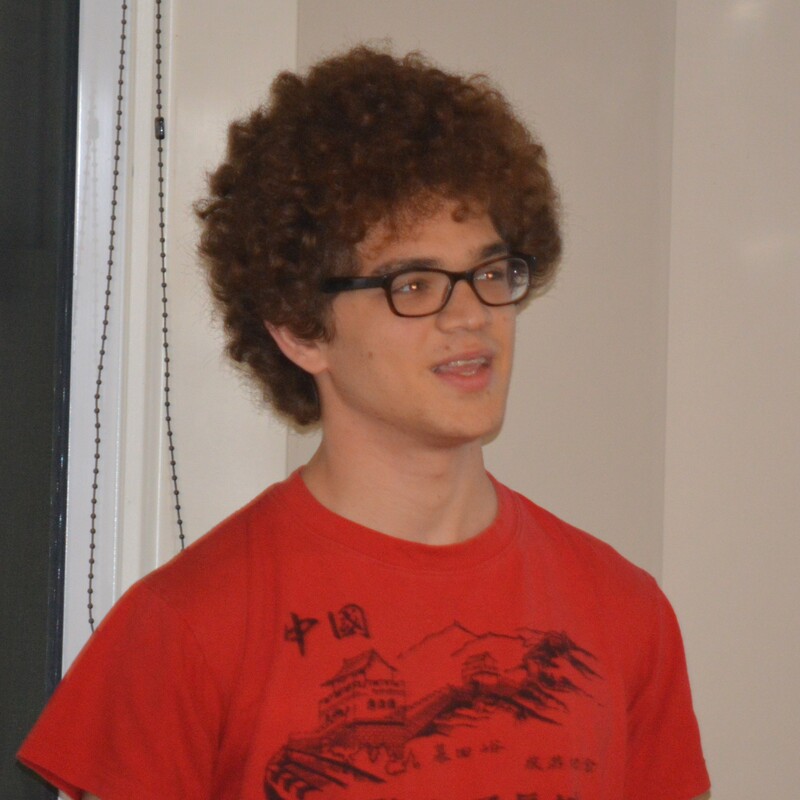 Tanner was part of a parallel computing project at the Joint Institute for Computational Sciences, housed at Oak Ridge National Labs. This is the home of the world second-fastest supercomputer and where computational work is done for many disciplines including physics, biology, and chemistry. Specifically, Tanner’s work built on the work of another Maryville College student, Jason Coan. Both students worked on a framework for practitioners to be able to make use of supercomputing power without needing to know how to program the supercomputer. Tanner encouraged current students to pursue these kinds of opportunities as a way to grow in knowledge of your field and as a way to begin creating a network of professionals you can work with in the future. Winode gives the students sound professional advice. Winode Handagama also worked in research, but in a more traditional laboratory in the Center for Environmental Biotechnology at the University of Tennessee, Knoxville. The lab is working towards a way to alter the DNA in STEM cells so that they will bioluminesce. This will allow doctors to track STEM cells when they are using them to treat people with a variety of diseases. As a more experienced student with three summer research positions under his belt, Winode had some important words of advice to our students. He encouraged them to practice important professional skills like writing professional e-mails and learning the application process. Over time, he has come to realize that applying for a position is more than just sharing information with potential employers: it is a skill in itself that students need to begin to hone. He also encouraged students not to be afraid to apply to programs at large research institutions, since they are often looking for students from non-research focused institutions, like Maryville. 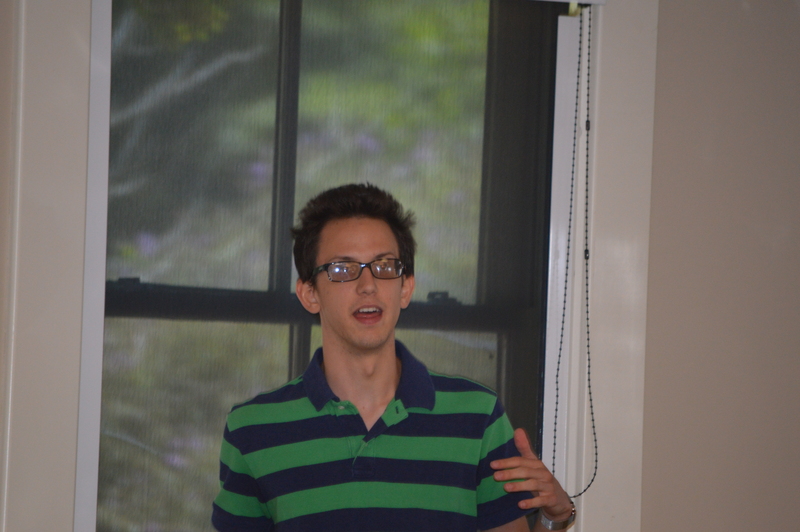 Matt talks about how his peer mentor experience translated to the workplace. 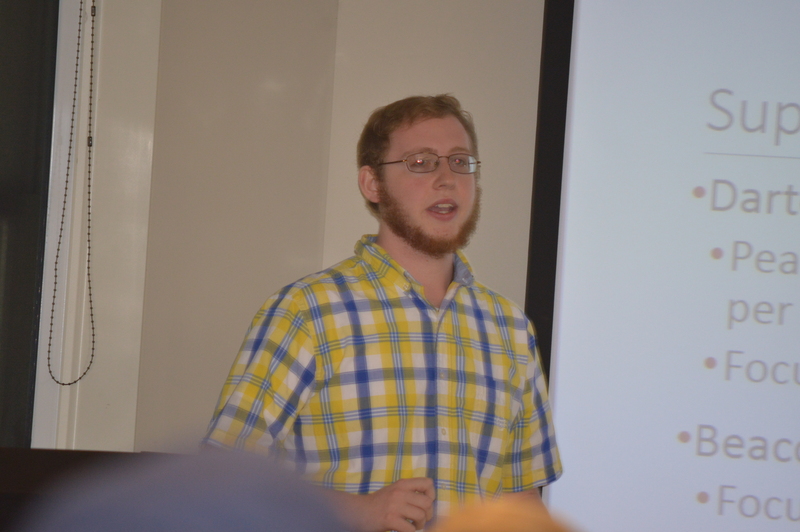 Matt Jenkins secured an internship at Y-12 nuclear facility last summer. Connections between faculty and alumni can often lead to opportunities for current students, as was the case for Matt. When an alumna alerted Dr. Bay to the opportunity, he encouraged Matt to apply. Matt’s job was to create a digital signature system for the Y-12 complex in order to streamline and track approval processes. In addition to the experience with programming skills, Matt understood the importance of the internship because it allowed him to be immersed professional settings. He credited his participation as a Maryville College peer mentor for preparing him to speak to large groups of people with confidence. His experience at Maryville has also allowed him to interact with high level college administrators, so he felt he could speak comfortably with directors and other superiors without feeling intimidated. Nabil describes working at the World Bank building. Nabil Ahlhauser worked in Washington D.C. at a small company called Bivee that is doing contract work for the National Diversity Women’s Business Leadership Conference and the Handshake Journal for the World Bank. Nabil was responsible for building content and designing databases, which is a course he has yet to take at Maryville College. He credited the rigorous program at Maryville for preparing him for the challenges of completing workplace projects. Additionally, his connections to Maryville Alumni made him aware of the opportunity and got him in the door for an interview. 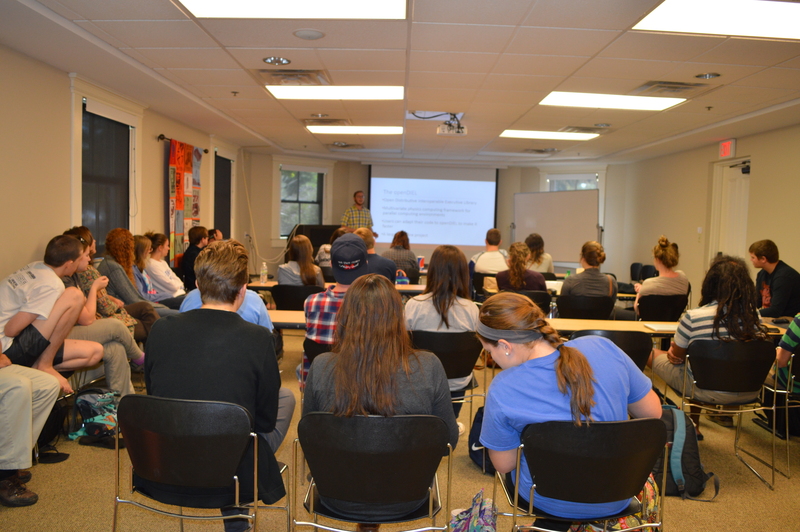 As we progress through the school year, these talks will be valuable to students both because of the exposure to the kinds of STEM work being done beyond the gates of Maryville College and because it opens their eyes to the opportunities for undergraduate research and internships, an important part of Maryville College Works. This entry was posted in Uncategorized and tagged Maryville College, Oak Ridge National Laboratory. Bookmark the permalink.